Albuquerque, NM, August 19, 2016—Avisa Pharma, a New Mexico startup commercializing diagnostic breath test technology developed at the University of New Mexico, has been selected as a “Best University Startups 2016” company by the National Council of Entrepreneurial Tech Transfer (NCET2), an association of university startup officers. 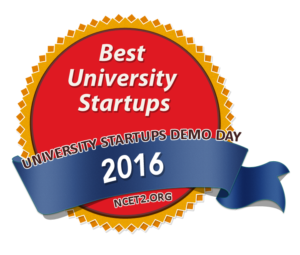 Out of the 800 startups created each year from universities around the country, 200 companies were submitted by their universities and screened by NCET2 to find the top university startups for 2016. Avisa was among 18 university companies chosen in the first round of winners. During the week of August 29, a second round of 17 winners will be announced from the finalists. The selected companies were scored by a selection committee of 25 Fortune 500 corporate representatives. The 35 winning companies will present in front of an audience of Global 1000/Fortune 500 companies, VCs and angels looking for investment opportunities at NCET2’s inaugural University Startups Demo Day to be held at the National Press Club and Congress on September 20 in Washington, DC. STC CEO Lisa Kuuttila was thrilled to hear the news. Dr. Timmins is a faculty member in the Department of Pharmaceutical Sciences at UNM’s College of Pharmacy and chief science advisor to Avisa Pharma Inc. The breath test is quick and non-invasive. It measures the presence of the urease enzyme found in certain bacteria that cause pulmonary infection using a proprietary, nebulized drug inhaled by the patient. 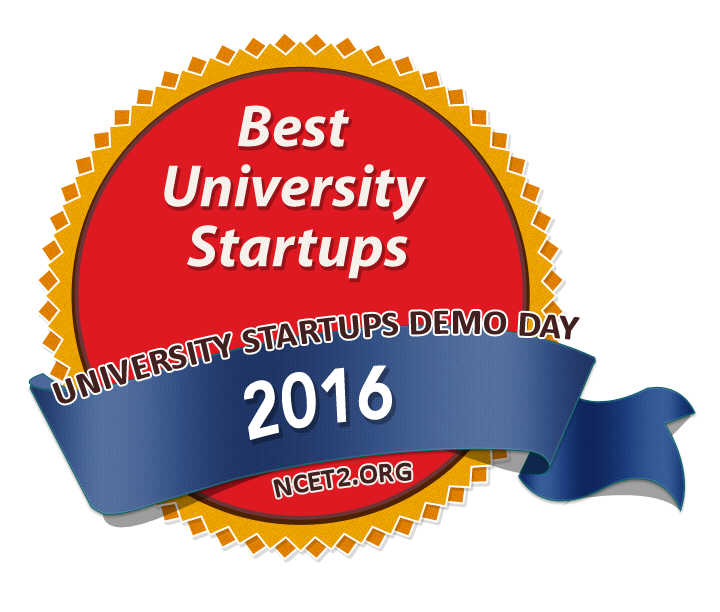 For more information about the University Startups Demo Day, visit the NCET2 website at http://ncet2.org. To read more about Avisa Pharma and the NCET2 University Startups Demo Day, see Kevin Robinson-Avila’s August 23, 2016 article, “Santa Fe tech firm in running for startup honors,” from the Albuquerque Journal, reprinted below, and Rachel Sams’ August 23, 2016 article, “NM pharma firm named a top university company,” from Albuquerque Business First at http://www.bizjournals.com/albuquerque/news/2016/08/23/nm-pharma-firm-named-a-top-university-company.html. ALBUQUERQUE, N.M. — A Santa Fe-based company marketing technology to rapidly test for bacterial lung infections is headed to Washington, D.C. after winning a spot on an elite national listing of top university startups. Avisa Pharma Inc., which licensed its breath-test technology from the University of New Mexico, is one of 35 companies nationwide that will earn the title of Best University Startups for 2016, compiled by the National Council of Entrepreneurial Tech Transfer, or NCET2. A total of 200 startups are competing, and Avisa is one of 18 included in the first round of winners who will present their technologies to potential investors and Fortune 500 representatives at a University Startups Demo Day on September 20 in the U.S. capitol. A second round of 17 startups will be announced next week, and five more UNM startups are on the short list of 80 companies still in the running to win a spot at Demo Day. That’s more than any other university nationwide, said Lisa Kuuttila, UNM’s chief economic development officer and head of the Science and Technology Corp., UNM’s tech transfer office. The finalists in this year’s competition are being selected by a committee of 25 Fortune 500 corporate representatives. The 35 startup winners will each receive a six-minute slot to present to Global 1000 and Fortune 500 companies, venture capitalists, and angel investors. They will also show their technologies to congressional representatives and officials during a trade show in Congress, said NCET2 associate director Ria Ancheta. For Avisa Pharma, it could generate more corporate and investor interest in its breath-test technology, said President and CEO David Joseph, who launched the company in 2010. The technology, which can rapidly measure bacteria in the lungs to determine if a patient has an infection such as tuberculosis, was originally developed by Graham Timmins, a UNM professor of medical chemistry and toxicology, and Vojo Deretic, chair of the Molecular Genetics and Microbiology Department. The company is now focusing on potential use of its technology in emergency rooms and intensive care units to rapidly determine if patients have bacterial pneumonia, and to monitor whether antibiotics are working. “This is recognition that we have novel technology,” Joseph said. The company has raised about $8 million in private equity to date. It expects to begin raising a larger $15 million round of funding this fall. Avisa is a clinical stage company that is developing an exciting, next-generation technology that enables the rapid detection of a variety of respiratory pathogens within minutes after the patient inhales its proprietary drug substrate, AV-U13. The AV-BreathTest™ is a rapid 10-minute test that screens and detects respiratory infections including pneumonia, tuberculosis, COPD and cystic fibrosis with the speed and sensitivity that can also facilitate the monitoring of antibiotic therapy. The AVISAR SPEC™ laser spectrometer, under development by Avisa, incorporates major design advancements that have resulted in a highly portable, laptop-size detection device that will have enormous utility in point-of-care settings—from rural health clinics in the developing world to modern medical clinics and hospitals. For more information, contact Avisa at info@avisapharma.com or 505-820-1400. Visit the website at http://avisapharma.com/. As the technology-transfer and economic-development organization for the University of New Mexico (UNM), STC.UNM (STC) protects and commercializes technologies developed at UNM by filing patents and copyrights and transferring them to the marketplace. We connect the business community (companies, entrepreneurs and investors) to these technologies for licensing opportunities and the creation of start-up companies. STC’s vision is to play a vital role in New Mexico’s economic development and to be a leader in technology commercialization. Under the leadership of CEO Lisa Kuuttila, STC is substantially growing its program using the Rainforest model to develop an innovation economy in New Mexico. For additional information, contact Cara Michaliszyn, STC University Ventures & Engagements Manager, at cmichaliszyn@stc.unm.edu or 505-750-7592. Visit the website at http://www.stc.unm.edu.